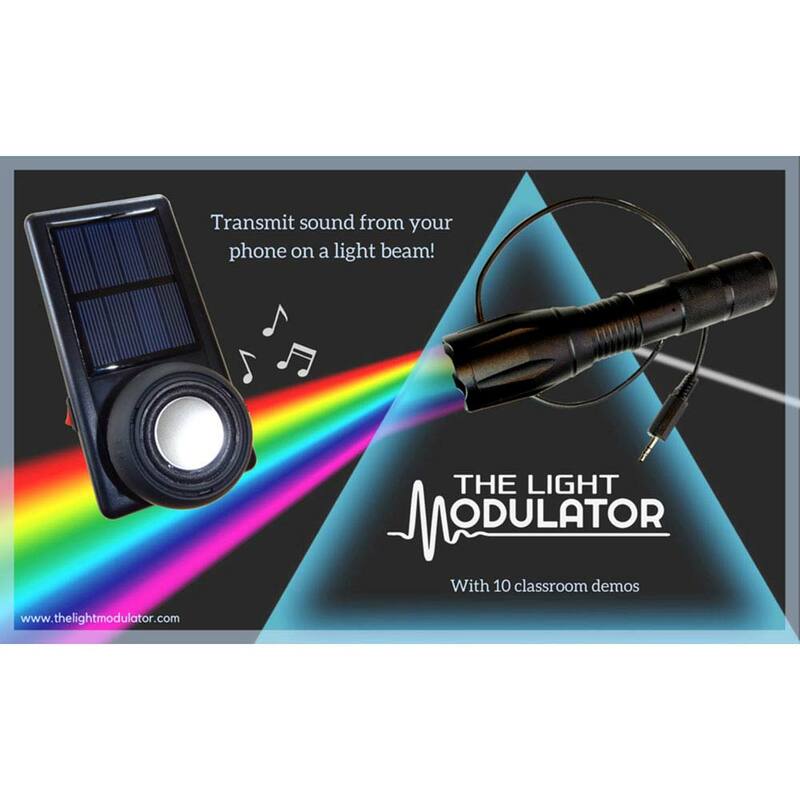 Light Modulator, Properties of Light: Educational Innovations, Inc.
Plug the flashlight transmitter into a cell phone, play a song, and the sound will "ride" the light beam to the solar panel receiver! This has to be one of the most engaging light modulation demos ever! 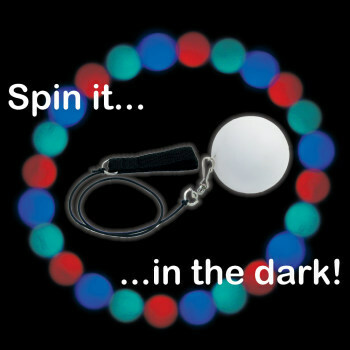 The Light Modulator is an easy-to-use, plug-and-play demonstrator of light and physics principles that will leave your students in awe. 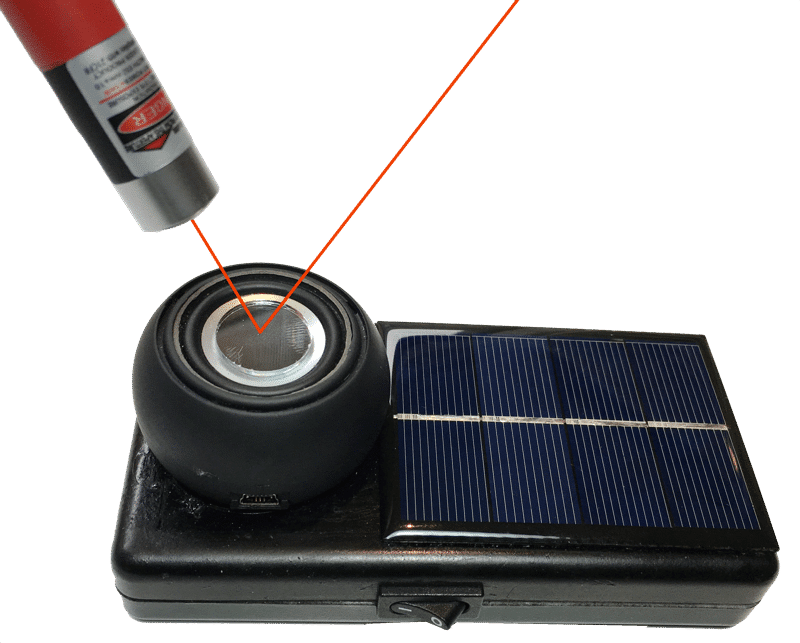 Plug the flashlight transmitter into a cell phone, play a song, and the sound will "ride" the light beam to the solar panel receiver! Ten unique experiments are provided. You'll be teaching concepts such as amplitude modulation, AC vs DC, fiber optics communication, persistence of vision, molecular kinetic theory, light properties, the Inverse Square Law and more. 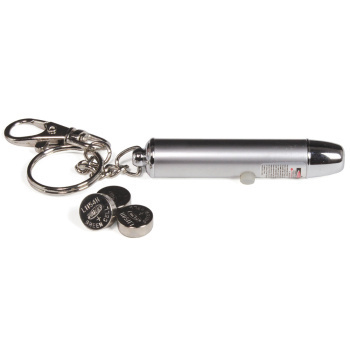 Requires 3 AAA and 2 AA batteries and a cell phone or MP3 player. Play a song on the phone and the sound will ride the light beam to the solar panel. How cool is that? This demo is mind-boggling! When every I show it to students, they are awe-struck, thinking that this is some magic trick. 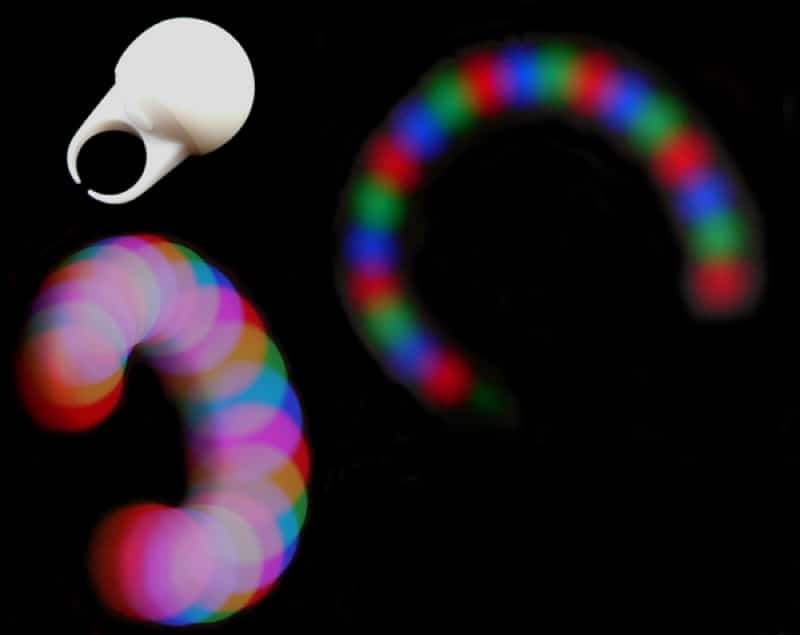 A very nice set of activities to teach students about waves, light, optics, etc. The flashing LED came broken, but I called and was able to get it replaced for free. I have two audience members come up to help hold everything and used a microphone on a mic stand so the audience in the lunch room could hear the sound effects and the music when I used my MP3 with the modulator. 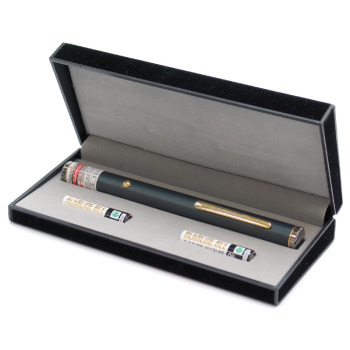 The package comes with many different props to do a variety of demonstrations. The only other thing extra I bought was some fiber optic strands. This item was a perfect addition to my science of sound presentation. Very unique and cool. Even the adults were amazed. An excellent way to explain AM, FM, cell phone transmissions and more. I'm using it in college classes and for young children with age appropriate explanations of the content. 100% WOW factor and clearly shows what you've been explaining. This is a way cool demonstration and perfect to add to my sound and light presentation. I found a fiber optics bundle on line as shown in the video because it does not come with the kit. Great information page and the props seem to be well made. I recommend removing the batteries from the speaker box when storing and you have to charge the speaker itself with the enclosed cord but you supply the plug. I like the light! 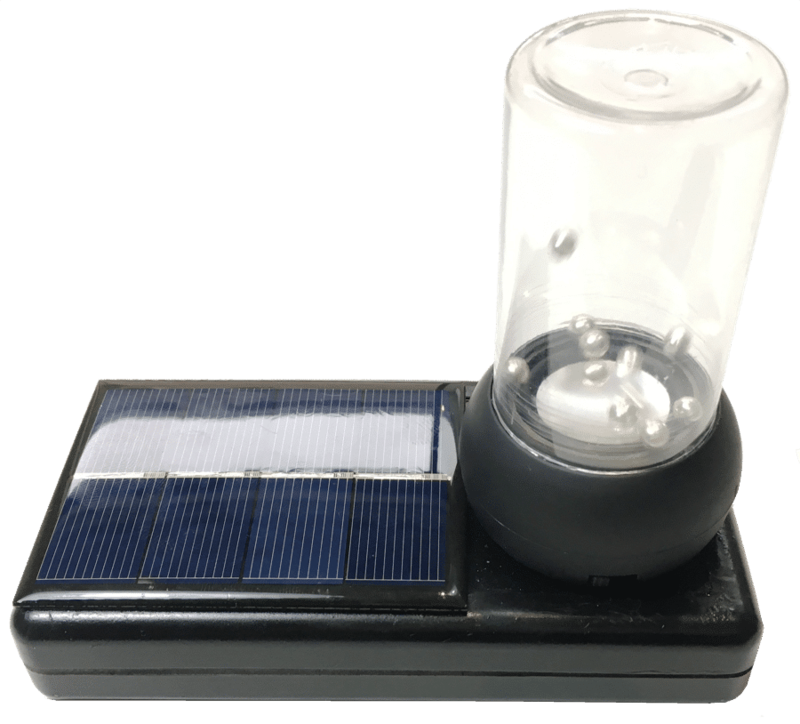 Students can use the Light Modulator and the various accessories included in the kit to conduct a multitude of fascinating investigations. 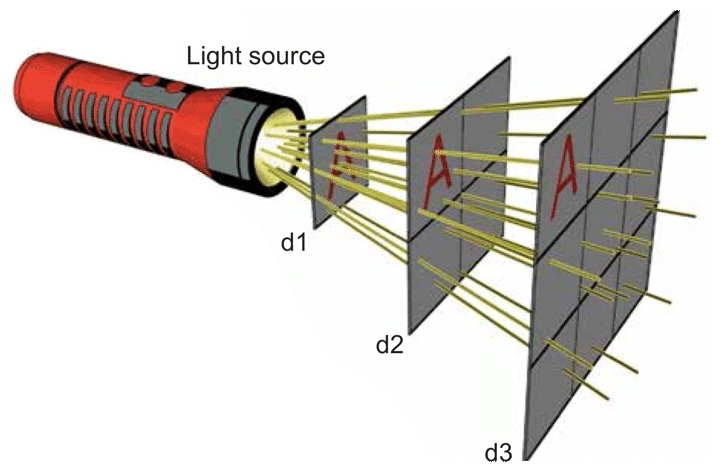 The different sources of light can be interpreted by the modulator into a variety of audible sounds. 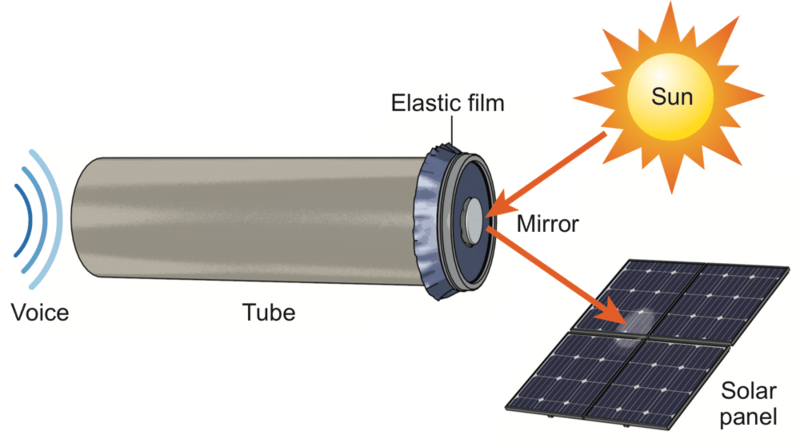 Students can use the light modulator in a variety of investigations to better understand how light waves travel. 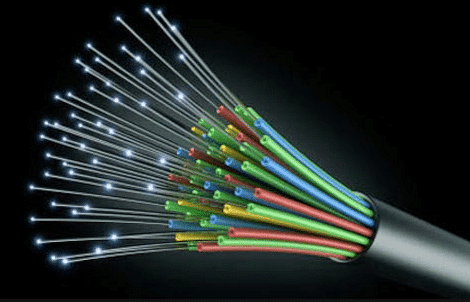 The use of Fiber optics leads students to better understanding of real world technology. 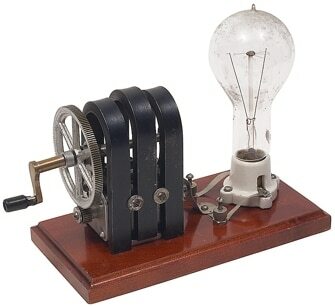 Modern communication systems, such a long-distance phone lines and high-bandwidth communication line for computer, commonly use modulated signals carried on a beam of light. The relatively high frequency of visual light can carry a lot more information than lower frequency radio waves.